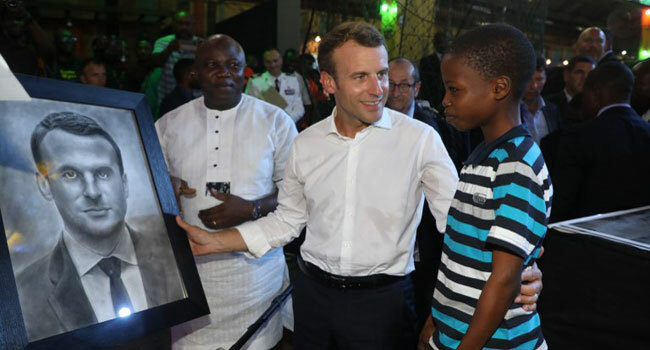 When news filtered in that French President Emmanuel Macron would visit Nigeria on Tuesday, one aspect of his visit dominated the headlines. 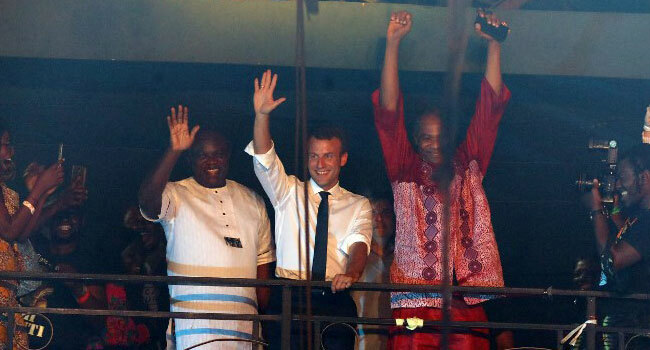 The French President would be spending some time at the legendary Afrika Shrine in Lagos. 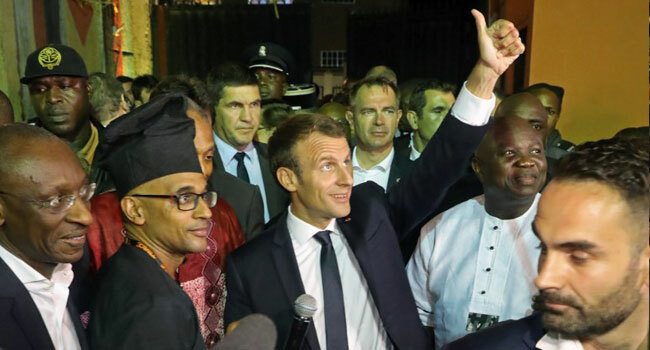 True to expectations, after dispensing with formal Presidential duties with a visit to the Presidential Villa in Abuja where he held talks with President Muhammadu Buhari, the French President flew to Lagos. 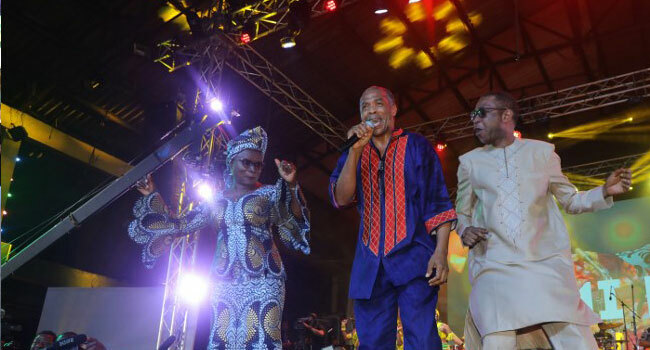 At the Shrine, music, history, and culture blended together with a presidential touch to ensure a night of fun. 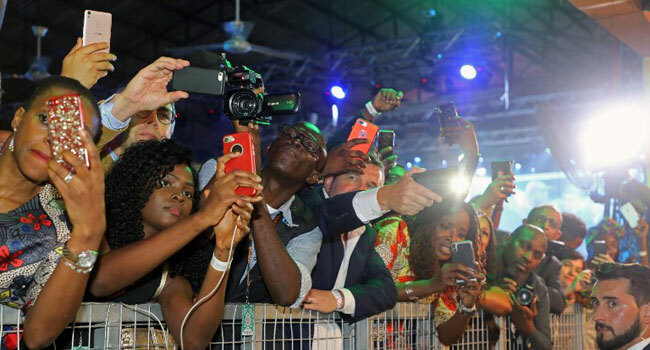 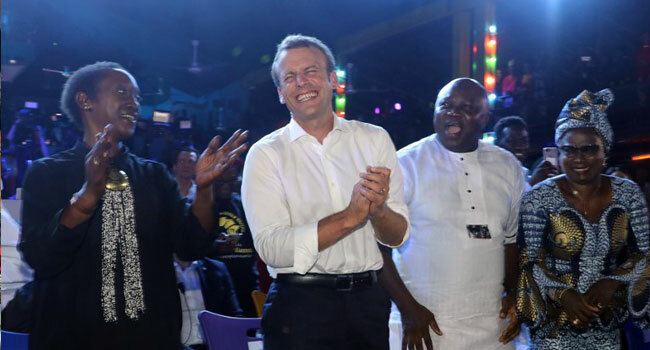 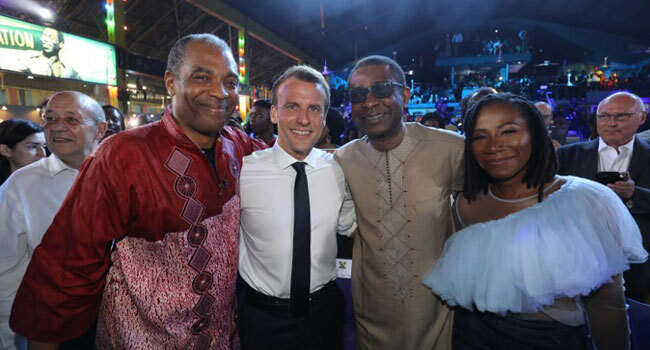 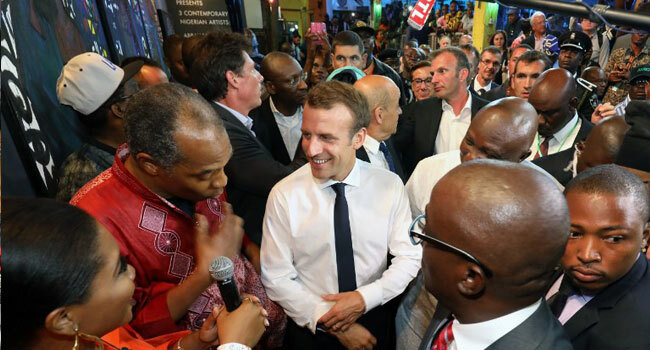 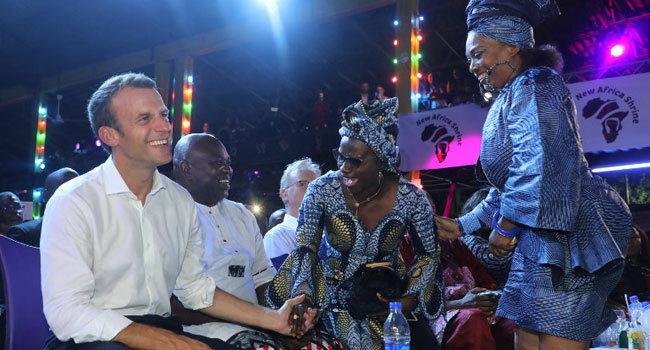 Macron (who swiftly dispensed with his suit and rolled up his sleeves upon arrival), Lagos State Governor Akinwunmi Ambode and many others were thrilled by the iconic Femi Kuti with other African music heavyweights such as Angelique Kidjo and Youssou N’dour.